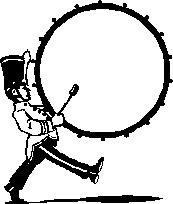 The marching band came back just like I feared it would. Not that I personally have anything against bands or marching—okay, I do have a little issue with the outfits—but the Martin College marching band signals the end of summer. Before too long the football team will be here followed by all the other fall sports. Next the student orientation team will bound onto campus with their “Go Martin Go” spirit prepared to overwhelm the freshmen. I’m a reference librarian at Martin College in Stripling, Ohio. The library doesn’t close during the summer, so I’m on campus twelve months a year. However just like the students, I always feel a little melancholy when the band comes back. Bobby snorted in my ear. You will not believe the stuff kids bring to school: refrigerators, computers, Xboxes, Wiis, TVs, recliners, couches! No more do kids go to college with one suitcase and a pillow. My back is cramping up just thinking about it. Okay, okay, I admit I’m only twenty-six, so I took most those things to college too. However, there’s a big difference between carrying my own TV up three flights of stairs and carrying one for an eighteen-year-old while the teenager looks on chewing bubble gum. Sigh. I hear the marching band playing the Fight Song, I’m off to lift some heavy dictiona ries in the reference section to train. By-the-way… I’ll be stopping by Killer Characters the 2nd of each month from now on. Well, at least I hope I will. I have a feeling that my friends and family might take over blogging for me from time to time. They are…eccentric…consider yourself warned. 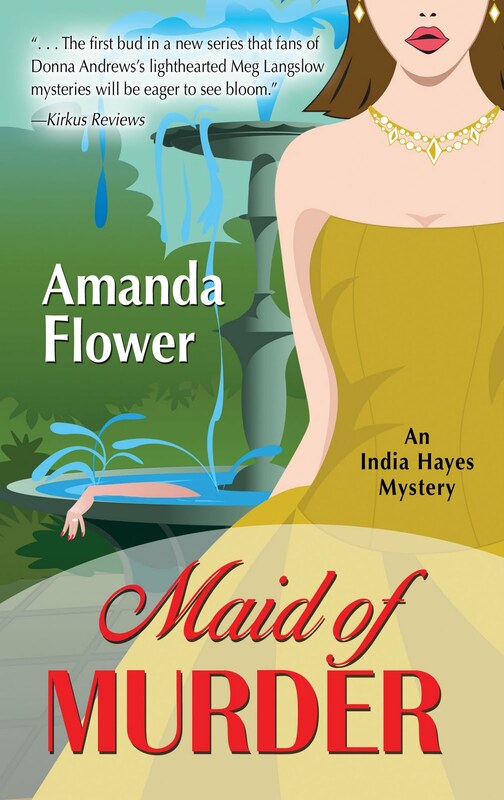 Amanda Flower writes the India Hayes Mystery Series. The first novel in the series, MAID OF MURDER, was nominated for an Agatha Award. The sequel, MURDER IN A BASKET, releases February 2012. To learn more visit Amanda online at http://www.amandaflower.com/. You can also follow Amanda at http://www.facebook.com/authoramandaflower and http://twitter.com/aflowerwriter. Surely there's a greater need for someone who can give directions, rather then act as porter. Maybe if you arm yourself with a map? LOL-my son starts his freshman year in less than two weeks and we have the fridge and futon ready to go. Don't suppose you want to help with the move? Hey, I lived at home and went to my local college!! That way I didn't have to lug anything. Welcome aboard, India & friends! Good luck with it all...maybe there'll be another murder. Lepcheck better watch his back, I think! Liz, you are so right! I'm printing off campus maps right now. Does anyone have an orange vest I can borrow? You should direct...direct them where to put their items. You lead, they follow. While you are there, you can give spelling lessons, starting with me. "Than", not "then". Good luck with the move. All my kids are out of college now but I remember moving day well, esp the ones to Chicago and Savannah. BTW, Amanda, I'm off to Glacier National Park on Saturday and remember chatting with you about Going to the Sun Road. Can't wait! Oh India... I work on campus myself and am well familiar with the calm, quiet of summer giving way to the frenetic crowds of the beginning of the fall term. And move in day! Ugh. You, my dear, are a very good sport! Oh, India! I think a lot of people can relate. I'm not even involved with the local colleges, but everyone in town knows when the students will return. We're bracing ourselves! Dru, I like your thinking! Jen, I try to be...I have trouble telling people "no." Thanks everyone for the warm welcome to India and me!! Great writing, Amanda! Brings back the days on campus. Loved it.